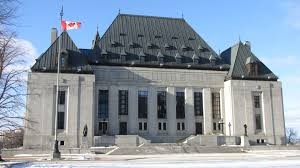 In Potter v. New Brunswick (Legal Aid Services Commission), the Supreme Court held that an administrative suspension, even with pay, can constitute constructive dismissal. In this case, the employee was appointed to serve a seven-year term as the executive director of the commission. During the first few years of his term, his relationship with the commission deteriorated, and the commission began negotiating a buy-out of his contract. Before terms were finalized, the employee went on sick leave. Prior to his return, the commission put him on an indefinite administrative suspension with full pay and benefits, and assigned his powers and duties to another employee. At the same time, the commission recommended that the Minister of Justice terminate his employment for cause. The employee alleged constructive dismissal. Both the trial judge and the Court of Appeal found in favour of the commission. (a) The commission was not acting in good faith to protect a legitimate business interest. (b) The suspension did not have minimal impact on the employee in terms of its duration. (c) The employee’s powers and duties were reassigned during his suspension, effectively replacing him. The breach was sufficiently serious to constitute constructive dismissal. In considering this case, the Court applied the reasoning in Bhasin v. Hrynew, a landmark ruling in which the Supreme Court held that there is an implied duty to perform contracts in good faith. To avoid this situation, you should consider including terms in employment contracts expressly allowing for administrative suspensions in certain circumstances. When imposing an administrative suspension, ensure that the suspension is executed in good faith, such as by providing the employee with reasons for the suspension.